Spiritual Gifts And Fiction Writing? How does one's spiritual gifts impact their writing? Some of you might be holding your breath. Spiritual gifts can be a controversial subject, especially on if they all are used for today. Well, release that breath. My comments are not at all concerned with the controversy. If you believe that you have at least one spiritual gift, we're on the same page. Do I hear some people pulling out their pens and paper? Oh, you want to write down the tips I'm giving on. Well, put that pen and paper away. I'm not going to tell you how to use your gifts in the writing; I'm pointing out how you're using them already. You may already be aware of this, or you may not. First, let me give a little theology breakdown. Many have divided the gifts into three categories: Speaking (teaching, exhortation, word of wisdom, etc. ), Service (helps, leadership, giving, etc.) and Sign (tongues, miracles, etc.). For the sake of this blog, I will consider prophecy to be a speaking gift, and consider all the other sign gifts to fall under the realm of Service gifts. In some cases, your spiritual gift is tied in with your purpose for writing and the development of the theme. Let me give an example from myself. I believe teaching is one of my gifts. I started writing my novel because I wanted to teach people about apologetics. Thus, my gift is being actively used in my writing. Two notes. First, the gifts that are actively involved with writing will tend to be speaking gifts. Your writing might be used to teach, encourage, share wisdom or knowledge, or even share prophesy. One isn't writing, usually, to exercise the gifts of help or leading or giving or showing mercy. Second, there can be a danger. Your gift can become your main character. In my case, I want my murder mystery to be a mystery, not a lecture on theology. I've read a book by a person who might feel he has a prophetic leaning, and some of his views interrupt the enjoyment of reading the book. Let me give an exercise. You want to picture that your MC is a good person. Which of these activities would you think of having your character doing? Seeing a problem and taking leadership in solving it. Pulling out a wallet to help someone on the street or contributing to a worthy cause. Buying someone a meal or some other physically compassionate action. Taking the time to assist somebody else accomplish their need. My hunch is if you have the gift of leadership, giving, mercy, or helps, you would automatically think of having your MC show that gift as a means of having the reader admire him/her. Or you would have the villain do just the opposite. While your writing may not be an active exercise of your gift, it would have an impact on your writing. There are times where your gift is not present in your writing. Instead, your gift is waiting for you to stop writing. When you're done, then your gift will leap into action. For example, let's say you have the gift of administration. I don't see much of a use of that gift while you're behind the typewriter, but I bet a writer with that gift has an easier time than some in getting things ready to market. A person with the leadership gift will be dying to form a team to promote the book. It will show in other ways. A person with the gift of giving will probably be giving away a disproportionate number of books because, well, they have the gift of giving. A person with the gift of teaching will be glad to teach about writing or devise discussion questions based on their book. A person with the gift of encouragement will be excited to talk to young writers and help them press on. Okay, these are my thoughts. You can go to McDonald's with these opinions and a dollar cents plus change to purchase a small coffee. But I'd like to know what you think. Agree with me? No? Let me know. Before a publisher buys your book, you may have to tell the house what other books are out there that compete with yours. But when you sign the contract, the publisher is more concerned about whether you will compete with yourself. A competing works clause prohibits you from competing through a different publisher, and a revisions clause allows the publisher to compete with you when revising the book. Nonfiction is different. Say you have written a college textbook for introductory psychology classes. It will compete with other introductory college textbooks in the market, and your publisher knows that. But the publisher does not expect it to compete with a similar textbook you wrote for the same audience but self-published or sold to a different publisher. This is also true for a Bible study on Lamentations or a travel guide to the Holy Land. It isn't fair for the author to compete with the publisher that has taken a risk and invested its money. Still, a clause that simply talks about "competing works" could apply to anything with the same subject matter, so try to narrow it if you can. See if you can limit the prohibition to psychology textbooks or, even better, to introductory psychology textbooks. And if developments in psychology move fast enough that a textbook is obsolete after five years, maybe you can get the clause to terminate in five years. But that brings up another issue. What if the publisher wants to update the book and release it as a new edition? Are you required to make the changes? What happens when you don't? This is where the revisions clause comes in. This provision is especially important for textbooks and other nonfiction books containing information that changes over time. A revisions clause says who makes the revisions and who pays for them. Many clauses require you, as the original author, to make the changes. Some give you the right of first refusal, meaning that the publisher must offer you the opportunity but you don't have to accept it. Ideally, you want to retain as much control as possible over who will make the revisions if you don't. If you are unable or unwilling to revise the book, the usual clause allows the publisher to hire someone else. That person will get paid from your royalties, so you want to make sure the amount is not excessive. It might be a flat fee, or it might be a percentage of the royalties. For example, if you were getting a 10% royalty and the reviser gets 2%, your subsequent royalty rate will be 8%. Of course, you can always try to get the publisher to pay for the revisions. I wish you luck. 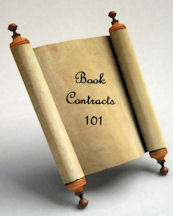 Then there are issues such as whether the reviser gets listed as a coauthor; whether you can take your name off if the reviser butchers the book; and how many revisions the book can go through before the contract simply terminates. If I were to address those, this would be an article rather than a blog post. So for now, just make sure you know how far you can--or must--go when competing with yourself. * If the publisher won't eliminate a competing works clause for fiction, make sure the wording isn't so broad that it could prohibit you from using the same characters in other books. If it could, you may be better walking away. My mind is writer blocked, and I need a story worth writing. Fresh air and a change of scenery ought to do the trick. I pack a lunch and take my family to the state park. Perhaps the trees have secrets to share? My husband straps our preschooler to his back, and I nestle my baby against my chest. The four of us set off on a trail under a canopy of shimmering gold. Spruce, pine, and black walnut's stretch their arms and fingers toward the heavens. I crane my neck and my baby's eyes follow. Yellow blends into blue. There's no telling where the leaves end and the sky begins. All of a sudden, I'm two feet tall in the presence of the majestic trees. I'm awed by their age and wisdom. Is that the rustling wind? Or are the trees whispering tales of past visitors? My feet, hands, and mind are all ears. I hear sonnets of lovers as they etch their names on bark; laughter of children as they make believe high up in branches. I hear a woman's cry over loss of pattering feet, and an elderly couple's musing of past regrets. And was it a tree such as this where Sir Isaac Newton discovered gravity or chicken little a falling sky? Is this the one that holds the young girl's secret or the sick man's dying wish? There are thousands of stories in this forest. Yet, I can't find one to write. For even the greatest intrigue or conflict doesn't seem worthy of these stately trees. Are my words worthy of the lumberjack's saw and wood pulp fiber paper? A twig snaps under my shoe and it's then I realize why I'm lacking inspiration. I'm as dry as the severed branch. I'm trying to pen stories apart from the source. It's only when I look to the author of life that His words flow through me. My breath forms prayer, "God grant me stories worthy of these trees. Stories that point others to you." My husband leads us to a clearing where a blending of colors paint one glorious canvas. We pause, drink in the beauty. And in that moment, I know what I must write! Didn't the Savior die upon wood that held his nail pierced hands and feet. Didn't the timber hear His victorious proclamation, "it is finished?" When I have nothing to say, I must go back to the greatest story ever penned--the living Word etching the story of grace and love upon a tree. At the foot of the cross, I find transformational stories. You finished high school and maybe college. You finished doing laundry and cleaning the bathrooms this evening. If it's been a tough day, you may have finished off an entire chocolate cake. But you've never finished your novel. Exploring the answer to "Why not?" can be helpful. All writers struggle with time constraints. Heavy family and job responsibilities present valid reasons for the goose egg in our "completed" columns. Sometimes a review of leisure time results in an epiphany--"I guess I could watch only four hours of 'Saved by the Bell' re-runs a week instead of eight"--that funnels random raindrops of effort into a more productive writing flow. However, even those able to carve writing hours out of their schedules find themselves avoiding the task--one they truly love. Creativity seems to have permanently left the premises. Or fear of failure can stymie even a passionate writer. Perhaps she has classified completing a novel in the same category as riding a space shuttle to Mars, achieving peace in the Middle East, or achieving a size five. Others start novels, but can't bear less-than-perfect prose, so they re-write chapter one fifty-seven times, refusing to move on to chapter two until each and every one of their fifty-seven writing friends has critiqued each and every one of their re-writes. NaNoWriMo (National Novel Writing Month) can provide the necessary impetus to shift us out of neutral. Begun in 1999 with twenty-one novelists from San Francisco, it grew to 200,000 participants last year, 30,000 of whom completed the goal of a 50,000-word novel in a month. I wasn't one of them. But one dead-in-the-water year, despite an idea that fascinated me and repeated efforts to flesh it out, I couldn't get past the first few chapters. Desperate, I joined NaNoWriMo, completing more than 20,000 words. That substantial investment prompted me to finish and polish the manuscript the following summer before the next ACFW conference. No, that particular novel has not been published yet. But the fact I completed one helped me believe I could finish three novellas, two of which have been published, with another in line to release in spring 2012. Have I allowed anyone to see that first draft? Only Jesus. It is so bad that even He probably reconsidered my call to writing. Upon reviewing it after NaNoWriMo, I told my husband that if I'd copied portions of the telephone directory to up my word count, it would have proved just as productive. But I said this as I re-wrote. I recalled hearing Anne LaMott describe her difficult days when she filled her hard drive with bad writing. Really bad. But she told herself--and us--that bad writing can be corrected. Zero writing, on the other hand, cannot. With that in mind, check out the NaNoWriMo Web site (http://www.nanowrimo.org/whatisnano). It might prove the answer to the frustrating whir-r-r-r of going nowhere fast. Anyone else out there ever tried NaNoWriMo? Did you find it beneficial? Writers know the importance of making a name in the industry. We carefully choose a pen name. We devise and implement a brand. We strategically title blogs and websites to draw the most hits on the Web. But the surest way to ruin your good name in publishing is to put our writing in front of the people who matter--agents, publishers, and readers--before it is ready. I recently paid good money for a self-published book recommended to me by a colleague. I don't want to get into an argument about the pros and cons of self-publishing, for that is not the point I wish to make. The point I wish to express is that this author put her cart ahead of her proverbial cart. Sometimes agents, editors, and publishers reject manuscripts for good reasons. This novel might be the best example of how to make sure your name is remembered--and not for any of the things for which writers hope. So whether you are self-publishing, entering a contest, or submitting a manuscript to an agent, here are a few things you should do if you want to make your name infamous in publishing--and probably ensure you won't ever get a read again. 1. Disregard proper form and style. In the book I read, the author either did not have any idea how to properly write dialogue or she thought she had enough clout to create her own style. On the plus side, the writer was consistent. She wrote every line of dialogue in the entire book incorrectly. 2. Freely abuse the English language. Write the way you talk and if you mispronounce words or use improper syntax and context, stay true to form. Write things like, "James feared Melissa was a cereal killer" or "Marty didn't hafta check the phone number, he knew it by hard." 3. Ignore continuity. One character's last name changed mid-way through the book with no explanation. Another character fluctuated between two different spellings of her name. Tomato, to-mahto, potato, po-tahto. Let's call the whole thing off, Molly--or is it Mollie? 4. Skip spell-checking, editing, and proofreading. This particular author misspelled the same words with enough frequency that it could not have been an accident. Repeated misuse of homonyms made it clear that the author just didn't know witch, I mean which, word to use. I guess some people just don't want to be told what to do--even by their spell checker. 5. Get your facts wrong. A simple subtraction problem should have shown the author that her character could not have been married for 22 years unless she walked the aisle at the age of nine. And at one point, two characters flew home to Seattle, went to bed and woke up the next morning in their beds--in Las Vegas. I found the story idea engaging, the voice interesting at times, but the inaccuracies, errors, and typos convinced me that I won't ever spend my hard-earned money on another book by this author, nor will I take seriously another recommendation from that particular colleague. Some more time snuggled up with a good critique partner, a dictionary, or a computer with spell check would have made a tremendous difference with this manuscript. Did this author ruin her good name and her chance of ever signing an agent, getting a publishing contract, or securing a fan base? *Note: My goal is not to bash this author, which is why I don't list the author or the title. I've also altered some of the telling pieces of information so as to make it more difficult to recognize the book in question. I've just self-published my first e-book! Exciting and HEAPS of work! Amazon a couple of hours to list it -- Wow! 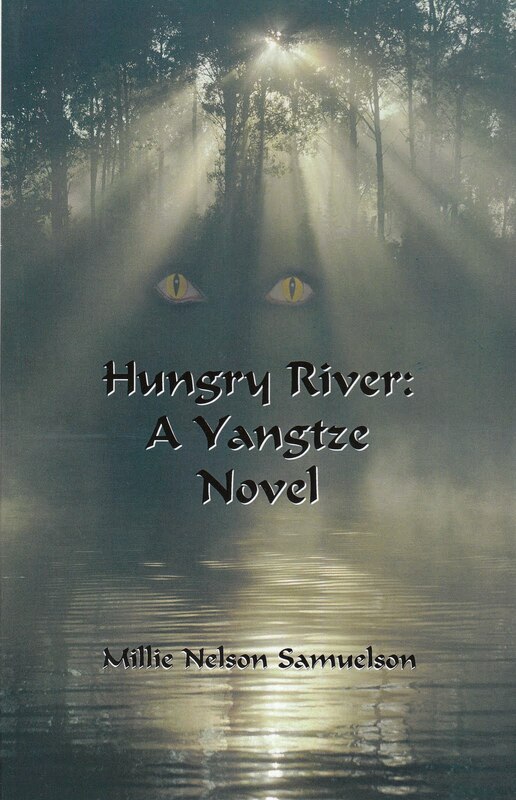 Hungry River: A Yangtze Novel. When I blogged last month, Melissa had already launched and sold nearly 200 books in one month (as a totally unknown author). Since that blog, ADD about 400 more books for her! Granted, she's selling a cozy (Miss Pettybone's First Case) for only $.99 (35% royalty). But hey, she's quickly developing a following. And she's ready with more cozies, which she plans to price higher. I've priced my book at $2.99 (70% royalty). I won't have the same huge cozy audience Melissa has to draw from, but I'm excited to see who my new readers will be. I'm hoping to gain overseas readers, especially from China. Right now, the majority of my readers are from audiences who've heard me speak, and several book clubs. Also unlike my print books, I won't have any shipping costs or hassles. But hey, I hope I'll still have the fun of packing up a box full of books for a book club now and then. I really like that Amazon makes revisions and corrections possible all during the process of uploading, and even after the book is uploaded and listed. Melissa has already edited her listed book a couple of times with ease. One "thing" I haven't learned yet is how to hyperlink the Table of Contents/Chapters to the text. I must have read the instructions at least six times before I gave up for a few days. I'll try again next week, or maybe get my son Peter to help me with it this weekend. I did figure out how to bookmark several spots, like the beginning (I chose my cover, not all authors do). OKAY -- I've just shared with you a great authoring experience I've recently enjoyed. So NOW it's YOUR turn. Any tips from YOU for the rest of us? Maybe a super book you're reading? 1. We tend to care about characters who suffer from an undeserved treatment. If the character is a victim of injustice, prejudice, humiliation, embarrassment, falsely accused, or abandoned, we tend to care about their predicament. 2. We tend to care about characters who have human virtues. The character who helps others in misfortune, helps children or animal, risks his or her life for others, shows ethical or moral responsibility, displays humanity in private moments, have our favor from the get-go. We like virtuous people. 3. We like characters with desirable qualities and skills. athleticism, and persistence are something each of us want in our own lives. I’m sure you get the idea. First, we must like the character in order to live vicariously through them and to get our minds inside the story. To like the character we need to see desirable traits. These traits need to be shown as early in the story as possible—preferably in the first scene. Using last month’s example, The Pacifier, the story opens with the hero in jeopardy as he is faced with saving his comrades on the ship. The ship is far out in sea and away from any possible help. The hero single-handedly (with the use of grenades, guns and other conveniently available weapons), destroys helicopters, snipers, and an entire team of bad guys. He’s outnumbered, outmatched, and at the end, he’s able to smile, maintain humbleness (note; he doesn’t have a wound on his magazine-cover body). We admire him for his fighting skills, his patriotism, and his willingness to accept any hardship or mission his superiors place on him. In his new mission to protect the children, he faces his fish-out-of water situation like a good trooper. How can we not like a perfect human being like that? "...Home again, home again, jiggedty-jig!" How many times did we sing that song as kids? Well, about every time we'd been to town. Back in the day, you went to town if you lived in the country, and that only happened about once a week. And you knew where to go for each thing, trying to get everything in one-stop shopping. There was a jingle for every kind of product on our 3-channels-only TV. You sang them without thinking and looked for those things when you went to town. Well, guess what? Authors have to market their product, too. And I have been asked about this aspect so many times this past month that it was time to give out a few links to help you on that road. 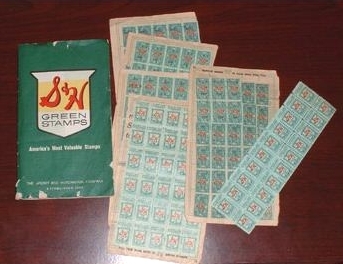 You may have to lick a few stamps to get results! First, do get a web presence, if possible even before you ever shop your manuscript, or as soon as possible. Whether it is blogging, website, commenting on other blogs, guest/interview or group blogs, book review sites, Facebook, Twitter and other forms of social networks, being an expert about your main mission or topics (topic blogs,) whatever works, or all the above. Please, please, puhlease, do not flood your readers or networks with constant marketing. What I mean is when the only thing you contact people with is to beg people to read your book, that's not cool. It's a delicate balance,I know, because yes, you want people to be aware of your book, and yes, they want to know. But sometimes talk about things that just interest them (or you) or get to know your faithful followers. Two of my favorite author group blogs are Seekerville and Girls Write Out. Both are group blogs where they take turns blogging about a topic on their mind. We always know when they have a book coming out, true. But most of the time they are blogging about things that just interest us. It's like a conversation with best friends. (Seekerville dishes out virtual buffets! Yum. No calories!) You're just chatting with them in the comments (they are good to comment back) and next thing you know, you're checking on their latest book. Indiana's Own Denise Hunter has one of the best author pages on Facebook. She doesn't just upload her book covers and link to her website. She has conversations with us. (And she's introverted, like most of us.) Another Hoosier, Diann Hunt ,also has started an author blog that is engaging and fun. Since I love the group blog that I'm on, I have to mention The Barn Door, too. These are Midwest writers (some fiction, some nonfiction) blogging about life in the midwest. And there's a whole section on books, too, but it's not just the books of those authors. But if you're looking for marketing advice, I have four links this week to help you with that all-illusive platform. 1. I can't tell you how many of Michael Hyatt's blogs I've copied to put into my file. (Yes, I keep a file to refer to for just this sort of thing.) Some have to do with your life mission and life goals. Some on writing. But he is a master of marketing, too. He has so much information. While you're there, you may get lost for awhile on a multitude of topics if this is your first visit. 3. The CAN Marketing gurus are always talking shop on this blog. I get their blog by email. I can click on their link if I want to go there to comment. Do not forget our national website where there is more information than you will ever absorb. Like eating an elephant; take one small bite at a time. You may have gone to town to buy a pig, but with good marketing in advance, you could come home with a cow, a chicken and few magic beans, too. That's why we do what we do. There's a master plan in that organized chaos! Lemme Know: What's the best marketing tip you've seen for a fiction book?